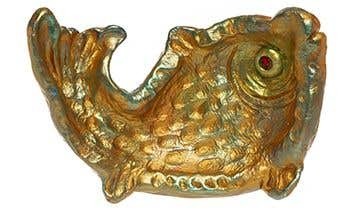 The golden carp is a traditional Chinese symbol for bringing good luck and success. 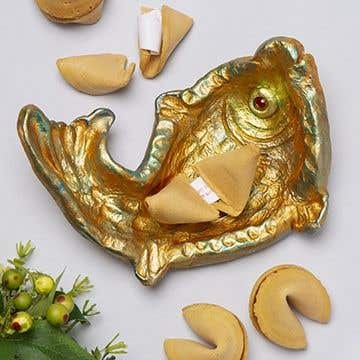 This fish-shaped dish makes a decorative addition to your home at New Year. Draw the fish outline onto paper then tape it onto your work surface with a piece of cling film over the top. Approximately 20-22 cm in length. Break off half a block of air-drying clay. Wrap the remaining clay inside a polythene bag so it doesn’t dry out. Squeeze and press the clay to roughly match the size of the fish, then flatten it onto the cling film, pressing down with your fingers so the fish body and tail are more defined. When the clay fish approximately matches up with the outline underneath, start smoothing the fish with your fingers to even out the surface. Dip your fingers into water if the clay starts to dry out. Press down firmly in the middle of the fish to form a dip and form a ridge around the edge. Pinch the clay ridge into fins at the top of the body and along the bottom edge. 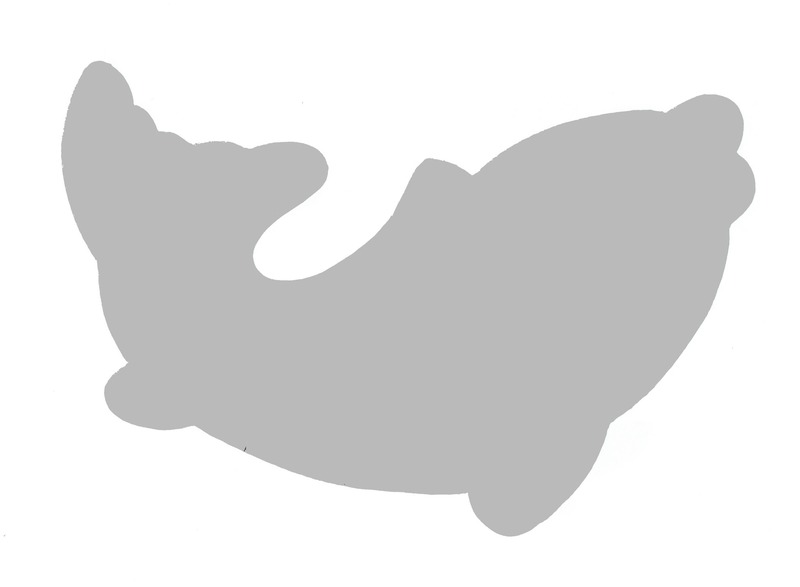 Use the side of a modelling tool to help define the shape at the end of the tail. 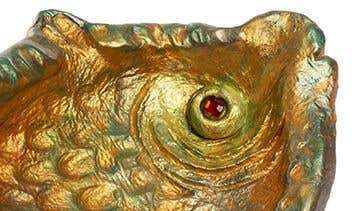 Press a modelling tool into the surface of the clay to make a scaly pattern onto the body and around the edge. Shape a small circle of spare clay for the eye then press it in position, adding some water to help it stick. Push a modelling tool or the end of a brush into the centre of the eye to make a hole. Holding the edges of the cling film carefully lift up the clay fish and transfer it into a mixing bowl to start drying. The bowl will help it to stay in a curved shape. Leave the clay to dry for 24 hours until the surface has dried out and hardened. Turn the fish over and place it over the base of the bowl to allow the underneath to dry out. 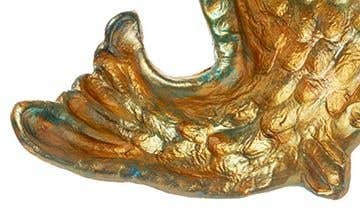 When the clay has fully dried, paint the top of the dish with gold acrylic. When it has dried, paint the underneath. Leave to dry. Lightly brush a metallic colour over the top of the gold to highlight the pattern. Stick a gem in the middle of the eye. Air-drying clay can take 2-3 days to fully dry out. Leaving the dish somewhere warm will help dry it more quickly, but avoid putting it too near direct heat or a radiator as the clay may crack. Allow the clay to dry completely on both sides before painting.